Very easy walk to the main drag. Spa was a nice change. Sabine and Christian were terrific. Plenty of room for five. Lots of hiking trails. Ocean view from balconies wonderful. Great contact with people at the reception desk, great views from the upper terrace, very spacious. The space was amazing, it felt very comfortable to have two bedrooms, two bathrooms and even two terraces. Sea view included, complete with sunrise from the top floor terrace. Free parking was also appreciated. Holiday from start to finish was great. Property was very accommodating. Receptionist was really helpful with late checkout which meant so much to us as we had late flight home. Beautiful area of Fuerteventura. This was our 2nd time staying at villas Monte Solana. Thank you all for your hospitality. Great location, short walk to the beach. The view from the terrase is stunning. Clean. Friendly staff. Great beds, and very large apartments, 2 terraces. Cleaning services is great. Swimming pool rocks. Nice views, two spaceous balconies, two bedrooms and bathrooms on different floors gives you privacy if you travel with teenagers or friends. The apartment is in walking distance from the beach area and in front of the entrance is a private parking place. Lock in a great price for Villas Monte Solana – rated 8.8 by recent guests! Villas Monte Solana This rating is a reflection of how the property compares to the industry standard when it comes to price, facilities and services available. It's based on a self-evaluation by the property. Use this rating to help choose your stay! Villas Monte Solana are design apartments, with a shared outdoor swimming pool and a spa. They are just 1,300 feet from Jandia Beach, in southern Fuerteventura. Each spacious apartment has 2 bedrooms, 2 full bathrooms and a living room. The well-equipped kitchen has a hob, a fridge and a kettle. 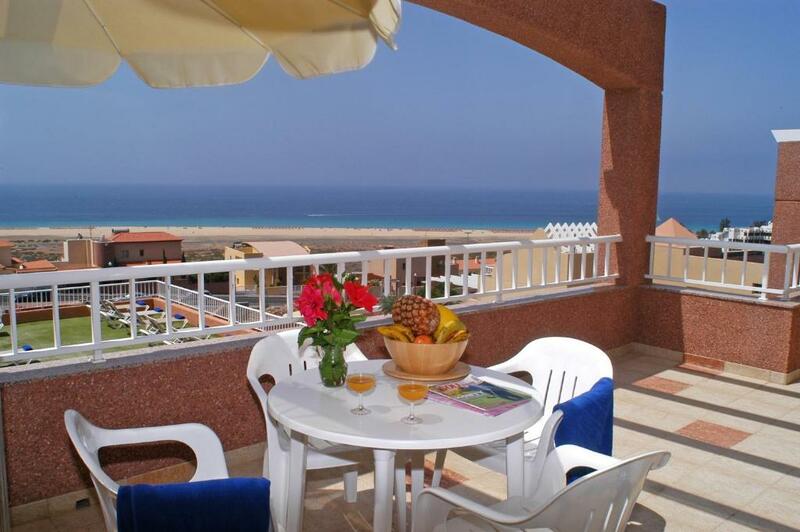 All apartments have 2 large terraces, one of them with sea views. Villas feature terraces and sea views. The Monte Solana apartments are a short walk from the fishing village of Morro del Jable. There are ferry connections to other Canary Islands. The complex also offers free private parking. The Monte Solana spa has a sauna, Hammam and Turkish bath. Massages are also available. The complex has sun terraces and gardens. There is also a tour desk on site. When would you like to stay at Villas Monte Solana? 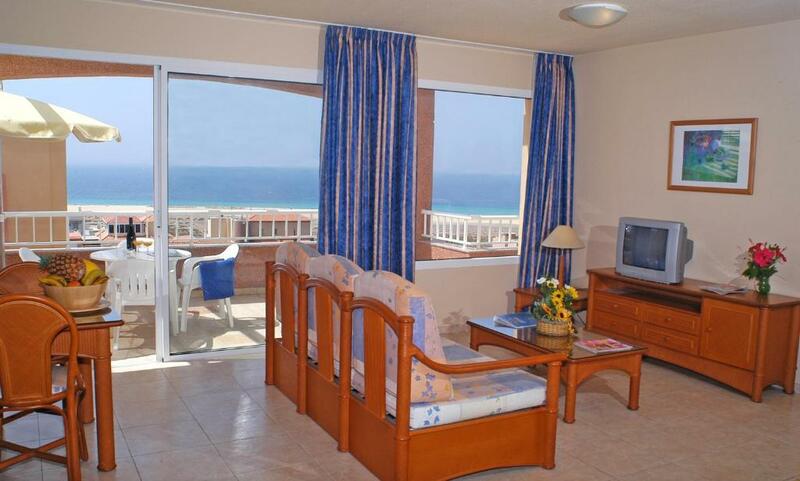 This beach-style apartment features a twin bedroom, a double bedroom and a lounge with satellite TV. 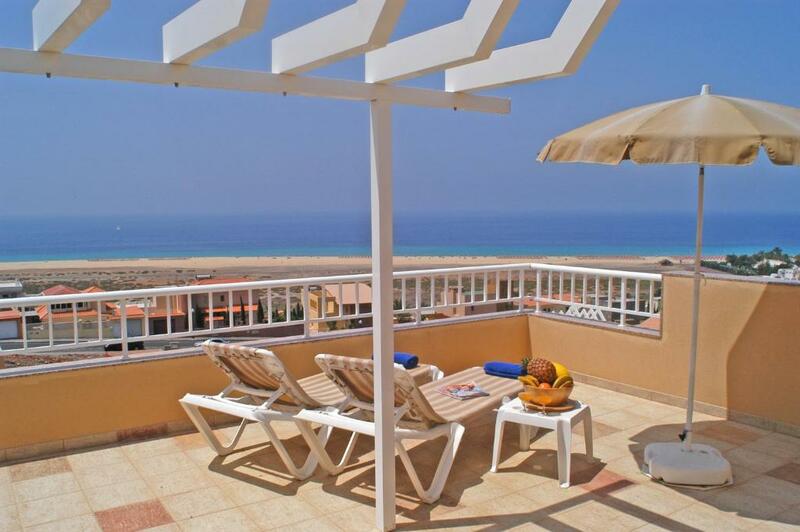 There are 2 private terraces, one of which offers great sea views. The kitchen includes a microwave and fridge. The apartment also comes with a free parking space next to the entrance. Please note that the maximum capacity is 5 people, including children and babies. 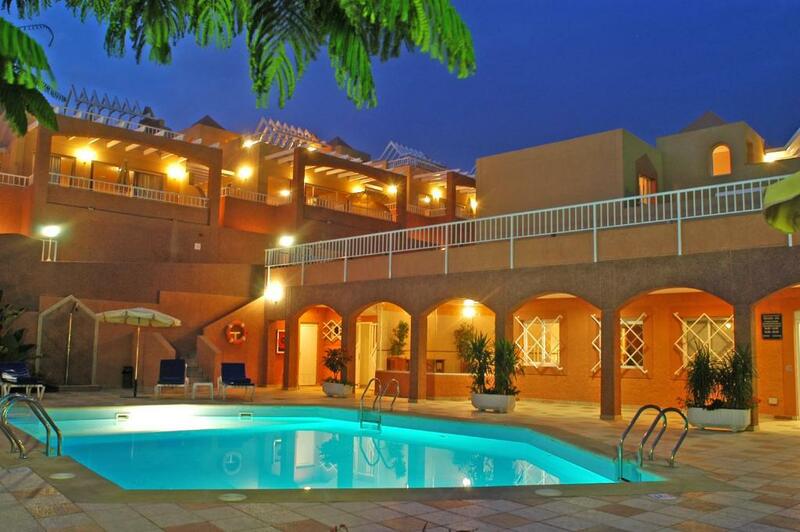 This villa features a twin bedroom, a double bedroom and a lounge with satellite TV. There are 2 private terraces, both offering sea views. The kitchen includes a microwave and fridge, and a free welcome package is provided. The apartment also has free parking. House Rules Villas Monte Solana takes special requests – add in the next step! Villas Monte Solana accepts these cards and reserves the right to temporarily hold an amount prior to arrival. Please inform Villas Monte Solana of your expected arrival time in advance. You can use the Special Requests box when booking, or contact the property directly using the contact details in your confirmation. Facility’s was great. Some of the surrounding areas not so nice. Property for sale surrounded my metal sheets and condition of roads and walkways could use some attention. Nothing to do with villas. No WiFi at the appt, no dishwasher, no washing machine, no iron although plenty of space (iron available at the reception). Cleanliness should be improved even though cleaning ladies came almost every day. In January nights are cold. A proper bed sheets should be provided. Definitely the time for a renovation has come. Pretty expensive for the offerings. The bathrooms and the kitchen would do with some TLC/refurbishing. The climb up from the beach could be challenging but loadsa taxis along the prom if you need help. Wifi was a bit unstable in the apartment, OK by the pool, good speed when it connected but frequently couldn't get, or dropped, the carrier (wasn't our equipment which works well in other similar places). 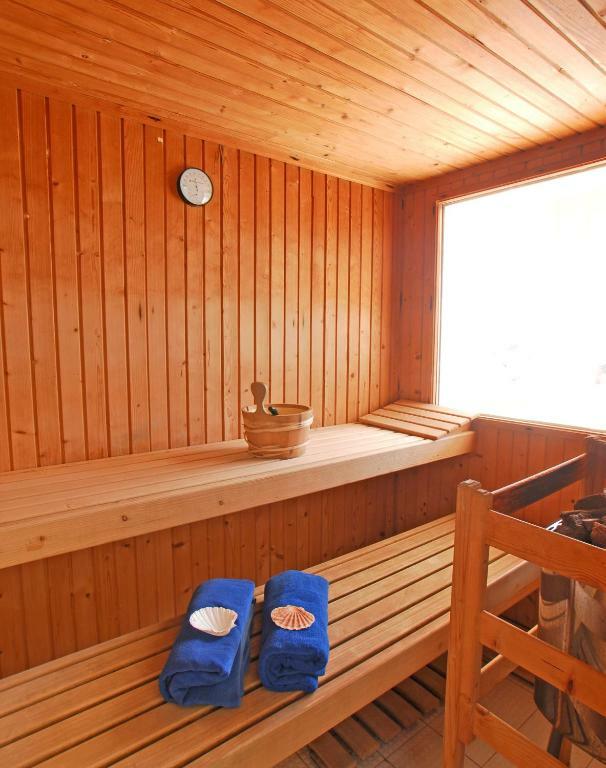 Unfortunately Jacuzzi and Sauna have quite limited access hours, too bad you can't use them after 8 PM. They could stuff the fridge with a bottle or two and a piece of cheese, and a preserve for your arrival, I've seen it done in Spain many times for properties less costly than this. Washing machine is 5 euros without detergent, which seems quite steep to me. The Flounders boat tour is clearly oversold. While the sailing boat itself is great, don't expect to see Dolphins, Whales or swim with Mantay Rays (the only Mantas you might see are in the port if you're lucky). Mini-bus driver is great, but the skipper can't really communicate in English/French or German and apparently has no clue as to where you might or might not find wildlife, and showing no interest in trying to find it either. The pool could have been warmer. Difficult to find the reception, need to have a bigger sign to show where it is. Great views form the terrace, large rooms comfortable furnishings. No airconditioning not a problem in March, not sure how it would be in the summer, lots of windows so maybe they give good ventilation. Spacious and very comfortable beds.Reception staff very friendly and helpful. Apartment was very spacious and clean. Endless balconies!